Homeless people in the Twin Cities are being forced to sleep in light rail trains or on the streets during this week's stretch of deadly cold temperatures as most shelters are full in Minneapolis and St. Paul. 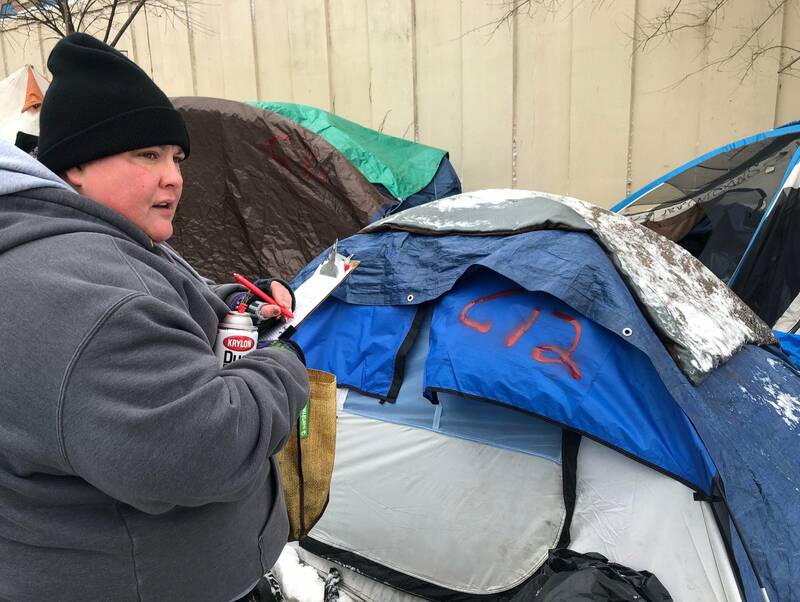 Knutson and his colleagues have hit the streets of Minneapolis by 7 every morning this week, checking camps, looking beneath bridges and other spots where people sleep. Normally, they'd be doing outreach work, trying to build relationships with homeless people and trying to get them into permanent housing. But this week, he said, is an "emergency situation." "We're gonna be on the streets the entire time," Knutson said. "Really just quick and dirty checking in on folks, making sure they're OK, and trying to hit as many places as we can just to make sure folks are safe and have the gear that they need." Tents are the better option for staying outdoors, he said. "It certainly won't be warm, but it'll be safe. It'll be warm enough." Some 200 people find shelter on Metro Transit trains any given night. 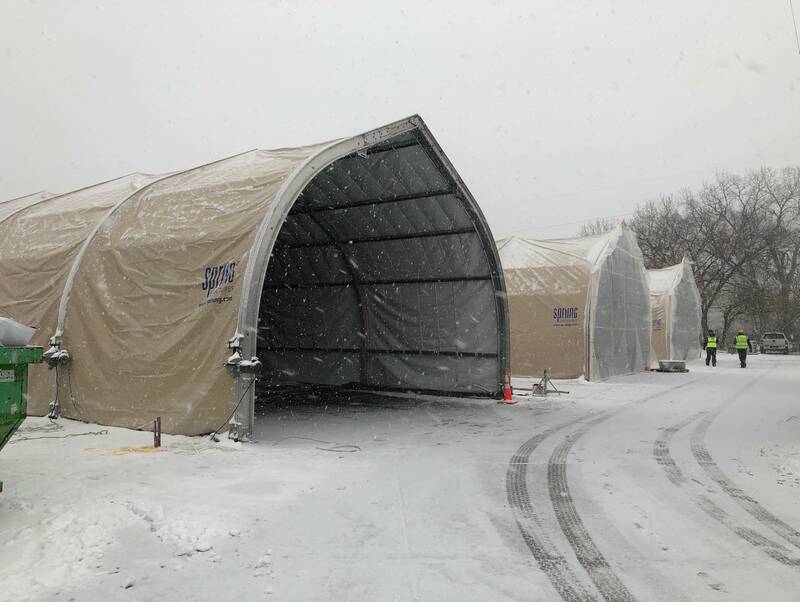 The temporary shelter built for residents of the former camp at Franklin and Hiawatha, which authorities cleared last month, is full. The so-called navigation center was built for 120 people, said Horsfield, whose Simpson Housing operates the center. But as of Tuesday afternoon, 140 people were staying there. If any more people tried to get in, Horsfield said, they'd be turned away. "It's terribly painful to have to say that and have to think of those conversations," he said, "however our primary focus for everybody is keeping people safe and the levels at which we're at, that's about as many folks as we can handle and keep everybody safe." Horsfield noted that many people know the navigation center is full and he's not expecting people will be turned away. Homelessness isn't an issue unique to the Twin Cities. For example, a warming center is open extra hours in Duluth on Tuesday and Wednesday. Organizations across the state, including St. Stephens, are collecting donations of money, tents, warm clothing and other supplies.